“‘I have to share this. I have to know I’m not alone. I have to let others that feel this same way know that THEY are not alone. I look ugly, there are tears and snot running down my face. I probably haven’t showered in days. I’m wearing my old Star Wars shirt (do I really want people to know I love Ewoks?). Yes, I must do this. Collect yourself, Kylee. Everyone is safe, and now it’s time to share. You promised you’d share the good, the bad, and the ugly on this journey. But what will people think? Will they judge me? Will they think I’m a bad mom? Will they relate at all? How will this make me look? These were the thoughts I had immediately before I posted this picture of myself sobbing on social media that ended up touching the lives of so many. I’ve been overwhelmed by the response. It was a day like any other for a stay-at-home mom of three under 3, well, my first son had turned 3 two days before, in fact, and was already turning into a real ‘threenager.’ Even though my almost 1-year-old twins had started sleeping through the night around 6 months ago, teething and illness had hit our family that week hard, meaning no sleep for mommy. Tired and grouchy, I hoped to put my babies down for a nap so I could have one moment for myself and collapse on the couch. We’ve all been there, right? Well, this day just-so-happened to be the day that everyone decided to boycott naps. With anxiety already high (an underlying symptom of what I now know was postpartum depression and anxiety, but did NOT know it could happen almost one year postpartum), I felt at my breaking point. For some reason, I thought I could will my children to sleep with yelling and anger. ‘JUST SLEEP FOR CRYING OUT LOUD!’ or something to that effect was definitely cried. Slamming doors and screaming, I was having a temper tantrum of my own. When I finally knew everyone was safe, albeit probably still crying, I shed tears of my own. Knowing I would then have to pick up the house and do this whole thing all over again in a few precious minutes, I wanted to kick back and put up my feet and honestly chug a bottle of wine. It was in that moment, coming down the stairs with bottles in hand to wash, I knew I had to share these emotions I was feeling. I had to explore these emotions myself. What was I feeling and why? I had to put it into words. 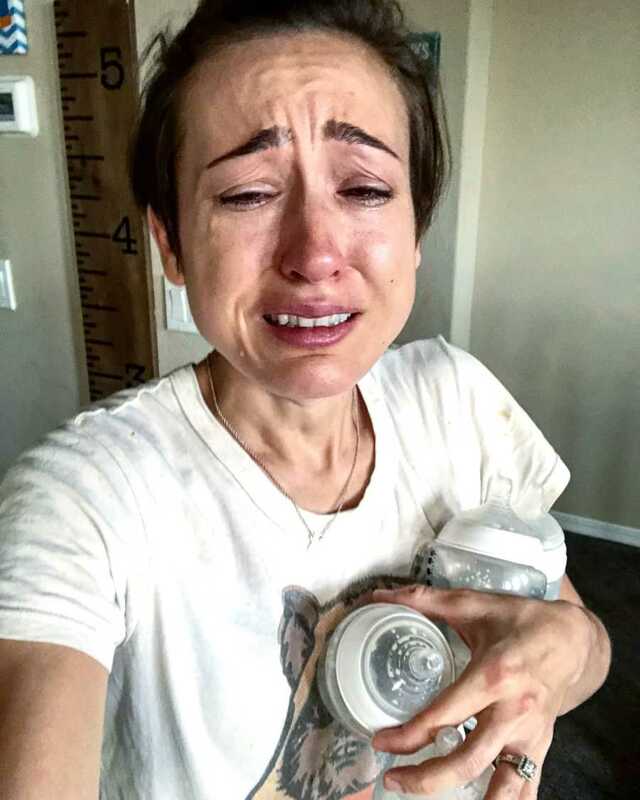 Not for anyone to feel sorry for me, and definitely not for anyone to give me advice, I knew this was not the ‘right’ way to be a mother, but simply for connection. When I first learned I was having twins while raising my 1-year-old son, I cried. ‘But I already have a baby!’ were the first words out of my mouth as the ultrasound technician ran her wand across my belly to tell me there was not one, but two 8-week-old embryos in there as she looked for more. My husband was away on military duty, and I was alone. He had joked with me in the weeks before that I was definitely having twins because I was already showing, and he was right. My family was joyful and surprised. Twins did not run in our family. I was happy, fearful, and anxious, full of emotions. How would I cope being a mom of three under 3? How would my firstborn deal with having not one, but two new baby brothers? How would our family stay afloat? As much as I wanted a baby, was I ready for or would I be able to handle two? I’m not the only mom that’s ever dealt with adding a new child to their family. I know so many moms struggle with this same transition. I know there are moms who would LOVE to add more children to their family, moms who have struggled so hard to get those babies. I know I am lucky. I also knew I was not the only mom to have three under 3 (or MORE), so to the internet I searched. With my first child I either didn’t search hard enough, or there was a definite lack of information out there, because I seriously did NOT know what to expect. How did I not know that you don’t come out of the hospital looking like all the celebrities in the magazines, skinny and flat post-baby? Oh, because I only saw celebrities in magazines. How did I not know about diastasis recti and the potential for your abs or belly button to not return to normal? Oh yeah, celebrities and those darn magazines again. Oh, but Instagram has to have real people with postpartum bodies on it right? Oh, nope, just fitness models that promise you can have the same body too if you do these exercises or drink these drinks. Ok, so I’d have to be my own advocate I thought. 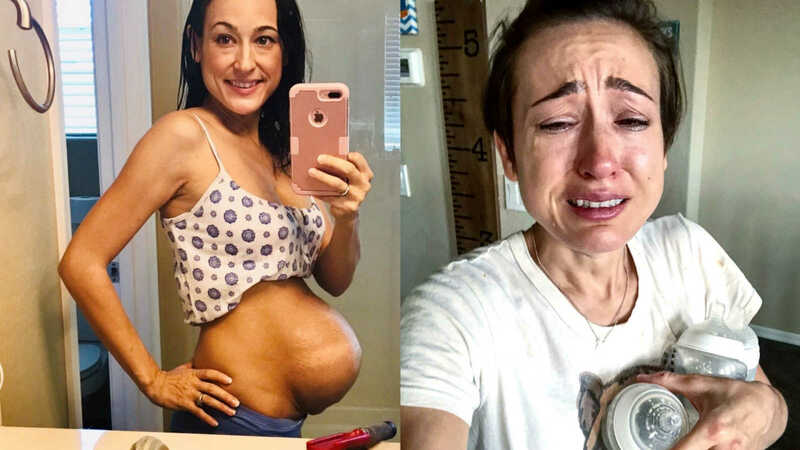 With this twin pregnancy, although it is scary and overwhelming, I have to SHARE. Share my experiences, my feelings and my body, a REAL person’s body. That’s when things got real. 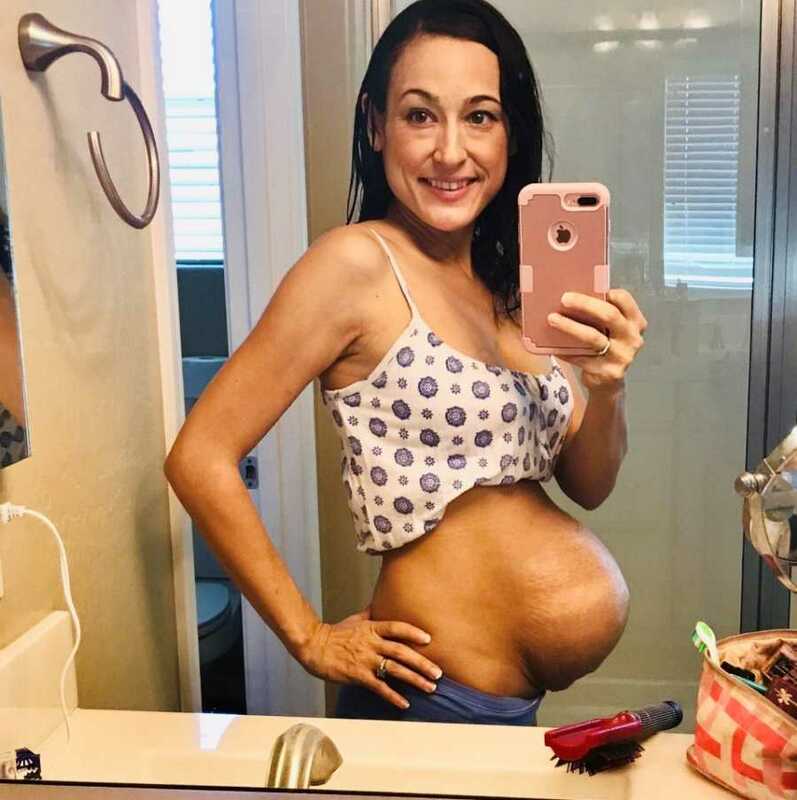 Sharing twin bump photos was my first shock. I received feedback like ‘that’s the most disgusting thing I’ve ever seen,’ to ‘Wow! Looking gorgeous, momma!’ Add in there the few creeps that are into that sort of thing, and things were off to an interesting start. Then the babies actually arrived. Many people were surprised that I went full-term with twins given my small 5-foot 3-inch frame. At 38 weeks pregnant I was induced. I was all belly (a belly that extended 3 feet in front of me), and incredibly uncomfortable. 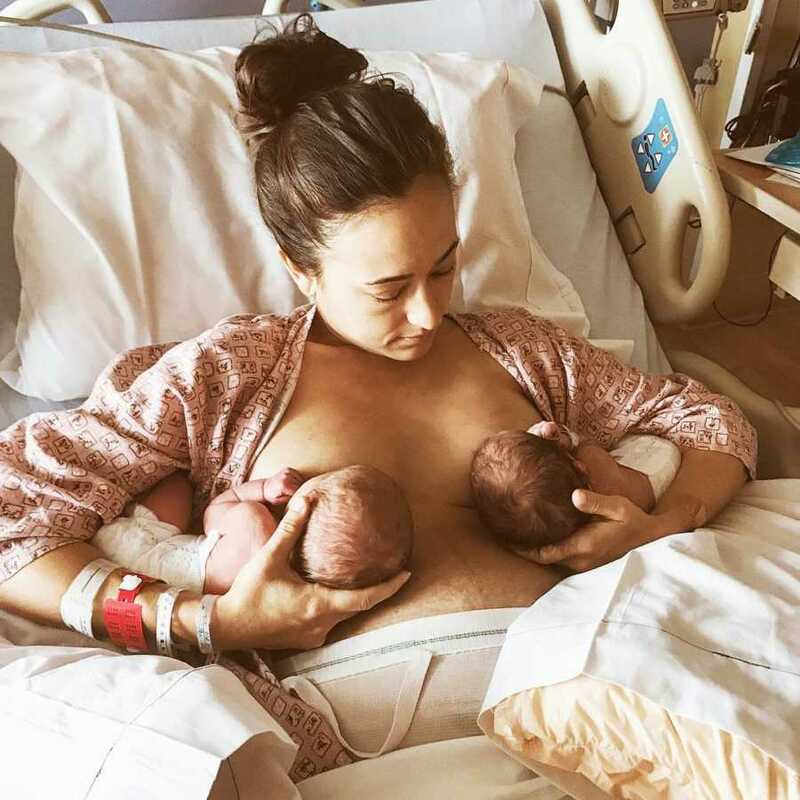 While I was willing to undergo any type of delivery to get these babies out of me, I had delivered vaginally with my first son and only knew what to expect taking that route. While 9 cm dilated, by some freak-of-nature thing, my babies both went breach and swam back up under my ribs. We decided to do a C-section after almost 24 hours of labor. I was scared, tired, and a little bit defeated. Thankfully, our 6-pound boys were fine and healthy. After we brought the twins home, I went full transparency into what our crazy life looked like day to day with three under 3 and how we were surviving. I loved connecting with other moms from twin moms, to trying moms, or young women that would someday like to become moms. They fed (and continue to feed) my soul with their words of encouragement and love, but most of all, connection. Because isn’t that what all of us are looking for on social media? To see ourselves and our lives reflected in others, to know that we are not alone, to reach out and feel? My life is fitness, it has been for the last 7 years or so. So, it was normal for me pre-baby to post a sweaty selfie in a sports bra or a video of me working out. This was something I also shared, but in a new way post-twins. My body was and is completely different, forever marked by the two beautiful lives I’ve brought into the world. I had these two new precious lives, but also this brand-new belly, stretch marks, and lose skin. As a fitness trainer, I no longer ‘fit the part’ with chiseled abs and a six pack. 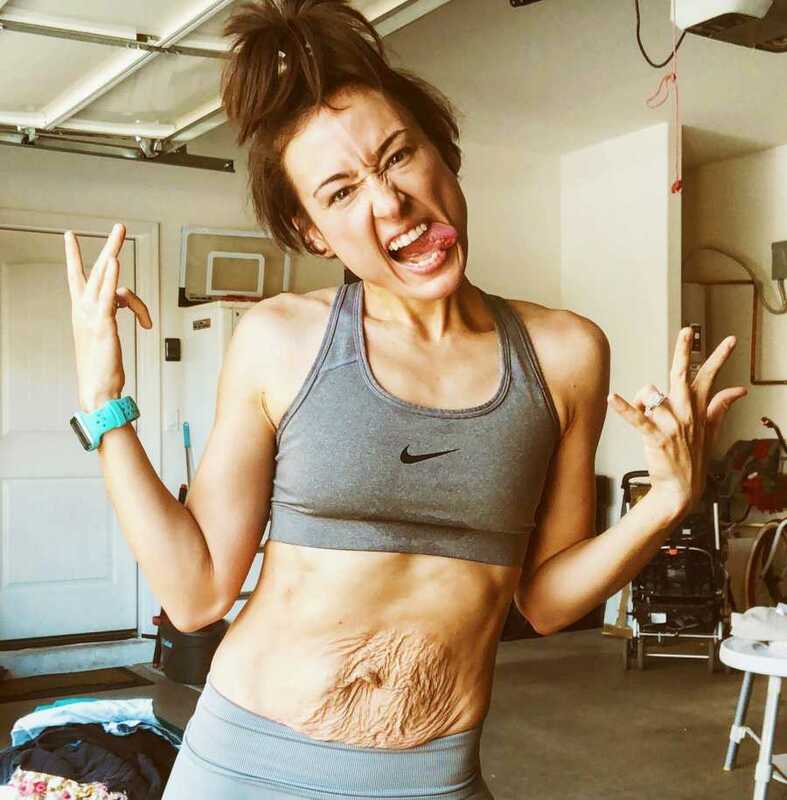 I knew I wanted to share this postpartum journey, but looking at my how my new body wasn’t like the fitness models I was used to seeing, would people understand? I had to change my mindset, God blessed me with three perfect sons, and He doesn’t make mistakes, I was made perfectly in His image. Sharing this new body of mine, built my confidence, and helped me embrace that truth. I discovered that true beauty lies in the love that a mother has for her child, for the love she has for herself and the love she shares with others. I love sharing the newfound respect I have for this body I live in, and how I believe EVERY woman should love theirs too. I love encouraging women of all shapes and sizes to embrace their bodies and shine their confidence through their own social media pages. Am I 100% thrilled all the time with how my body looks in every picture? No, but I share it anyways, and I share the way it feels to look different than society thinks you should. Motherhood is hard. I think we can all agree on that. Being a stay-at-home mom to three under 3 has been my all-consuming life for the last year. It can be really isolating. Even I scroll through my feed sometimes with that little green envy goblin on my shoulder. Moms that seem to have the picture-perfect Pinterest home, life, kids. Women that seem to have all the success in the world while somehow balancing it all. Friends that you wish you had doing things you wish you could do. I’ve tried my best to be transparent in it all, even though this is probably the scariest and hardest thing to do. Mom judgement is the harshest and mom-guilt a close second. So, while I’ve shared times that I’ve failed and times that were hard, I’m glad I’m not alone with these thoughts. I’m so glad I have this support system I’ve created by being open and honest and vulnerable on social media. 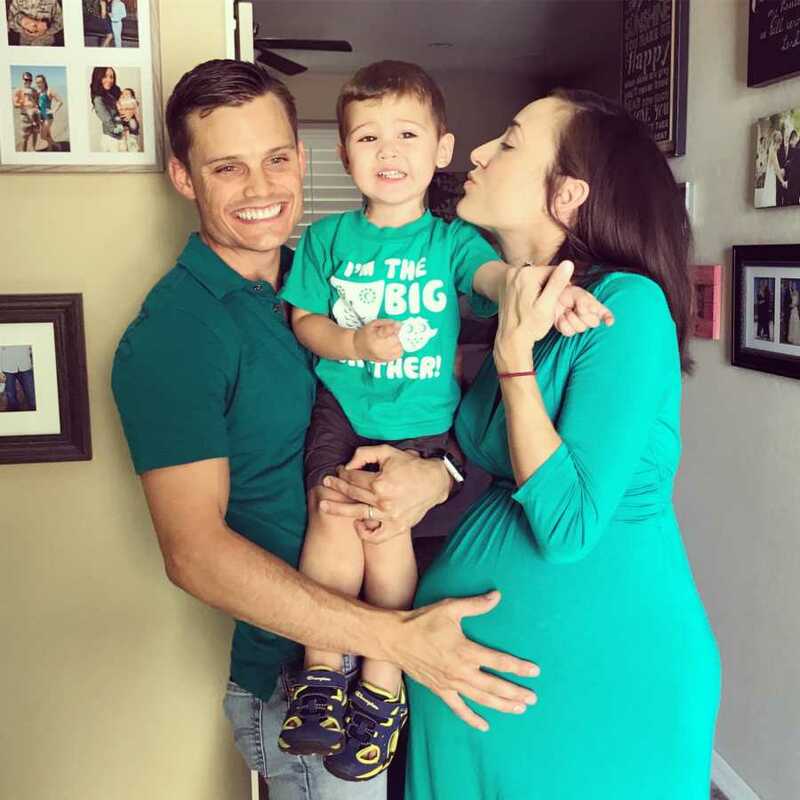 This story was submitted to Love What Matters by Kylee Austin of Arizona. You can follow her journey on Instagram and her website. Submit your own story here, and subscribe to our best stories in our free newsletter here. Provide strength and encouragement for other moms. SHARE this story on Facebook with your friends and family.